WATS Director Ryan buck discussing the 2045 LRP development process at washtenaw community college. WATS' Public Participation Plan (PPP) highlights techniques that the staff will use to encourage public interactions and conversations about transportation planning throughout Washtenaw County. 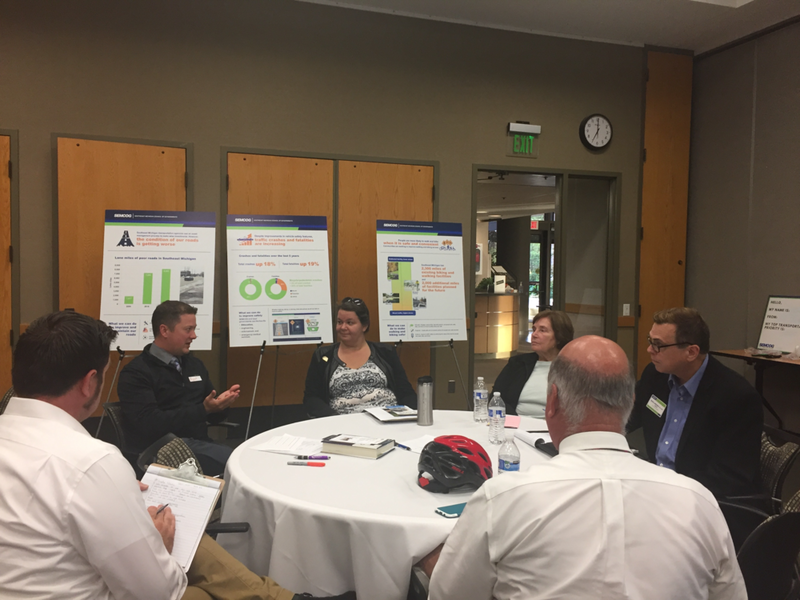 WATS believes implementing an effective and equitable vision for Washtenaw County’s transportation system depends on a well-informed, ongoing discussion with the public. WATS’ public involvement strategy must adapt to the evolving landscape of transportation policy, design and technology. Communication should be succinct, well crafted and relevant to the needs at hand; using all necessary tools to bring the public’s voices, regardless of physical or cognitive ability, to the decision makers who shape their community. WATS values input from all members of the community, and will ensure their feedback is considered in the transportation planning process.